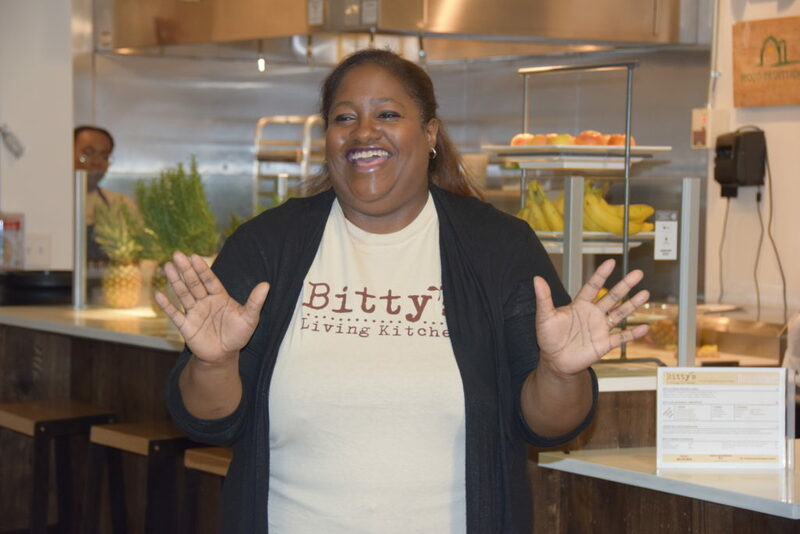 Chef Kimberly McNair Brock on Friday opened Bitty’s Living Kitchen, an African-American female-owned new business, in The Pizitz Food Hall. (Photo courtesy REVBirmingham). Bitty’s Living Kitchen, a new African-American, female-owned business, opened in The Pizitz Food Hall Friday. Chef Kimberly McNair Brock’s “living food” concept puts an emphasis on whole fruits and vegetables to create fast, healthy options for breakfast, lunch and take-home meals. 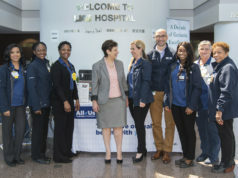 “We’re all on a journey to a better version of ourselves, so no matter where people are on that journey I want them to have the option to eat healthy and still enjoy their food,” said Brock. Brock is the second chef in REV Birmingham’s REVeal Kitchen, a stall in The Pizitz Food Hall that serves as a business accelerator to culinary graduates of REV’s BIZ 1.0 and Create Birmingham’s CO.STARTERS programs. “It’s great to be here and once again celebrate another win in small business growth and development in Birmingham and celebrate what our city is doing to support entrepreneurship,” said David Fleming, CEO of REV Birmingham. Brock said she is excited about opening her business and sees it as a way to pay homage to her sister, Denise McNair, one of the four girls who was killed in the 16th Street Baptist Church bombing. “I like to think that since her dream didn’t get to be fulfilled or was taken from her, that this is my chance to fulfill that on behalf of her,” said Brock. Brock said she has been a lover of food since she was small. She recalled memories of cooking with another sister, Lisa, on Saturday mornings. Her sister preferred cold breakfast like cereal, but Brock said she did not. Though Brock had a love for food, she didn’t go to culinary school right away. Instead, she attended Auburn University where she graduated with a degree in Fine Arts Painting. She eventually went to culinary school but not until she was 32 years old. She attended a one-year culinary program in Denver, Colorado and after finishing returned home to work at The View restaurant at The Club. Brock also had a café for a year and a half in the Southern Progress building on Lakeshore. 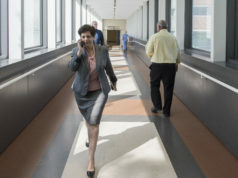 Once her contract was up with the café, Brock became a caregiver to her parents but catered for private clients as well. While still helping her parents, Brock went through holistic health coaching where she learned more about food. “I wanted to help people . . . and learn how to help heal themselves through food,” said Brock. She went through Create Birmingham’s CO.STARTERS program and became a part of REV’s BIZ 1.0. Bitty’s Living Kitchen is housed in REV Birmingham’s REVeal Kitchen, a Pizitz stall that serves as a business accelerator to culinary graduates of REV’s BIZ 1.0 and Create Birmingham’s CO.STARTERS programs. Brock was thankful for the support she received from those programs. 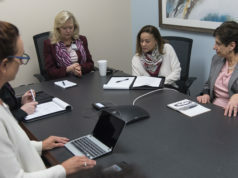 To celebrate the opening of Bitty’s Living Kitchen, instead of a traditional ribbon cutting, there was a ceremonial first purchase by the City of Birmingham’s Director of Economic Development, Lisa Cooper. The restaurant opened during the start of Birmingham Restaurant Week (BRW). From August 11-20, Bitty’s customers can order two BRW menu items for $15. Bitty’s Living Kitchen serves fast casual breakfast, lunch and take-home meals that are built around fresh fruits and vegetables, greens and whole grains. See the Bitty’s Living Kitchen menu and more at www.bittyslivingkitchen.com.